This entry was posted on Wednesday, June 17th, 2015 at 2:08 pm. It’s here! Our farm sign arrived last week, and James installed the post and hung it yesterday! I’m so very pleased with it. James did the design work as well, with a little ‘supervising’ from me, of course. Everyone asks us how we came up with the name, and it’s really pretty simple. 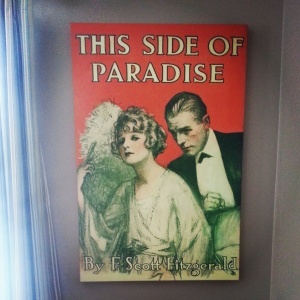 F. Scott Fitzgerald is my favorite author, and This Side of Paradise was his first novel, and one of my all-time favorites. For our first Christmas as a married couple, James surprised me with the print below. This print was hanging in our local Barnes & Noble – he liked it, talked to the manager of the store, and bought it to surprise me! 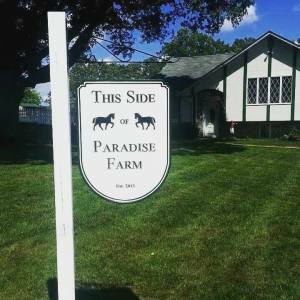 As we were tossing around names for our farm, James came up with This Side of Paradise Farm, and then nixed it because he thought it was too long. But I fell in love with it, so it stuck. It’s a nod to my literary background as I majored in English for both undergrad and grad and taught at a community college for a bit. 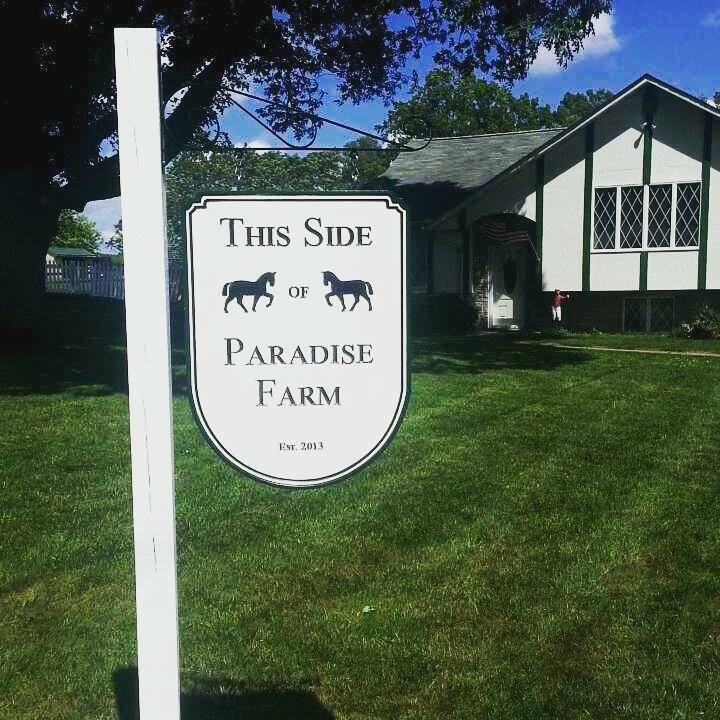 Also, our farm really is our side of paradise, as all homes should be. I think I’m going to put some mulch underneath and plant some Black Eyed Susans, the Maryland state flower. We also may move George, the lawn jockey by the house, next to the sign. We’ll see!